Signature® Flow Meter - Gripp Inc. The Signature® flow meter is designed for open channel flow monitoring applications. It supports flow measurement technologies including ultrasonic level, bubbler level, submerged ultrasonic area velocity, and non-contacting laser Doppler area velocity. 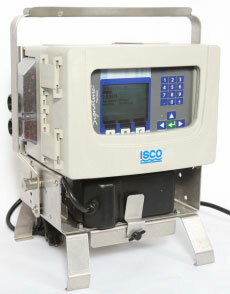 The meter can calculate flow using standard open channel level-to-flow conversions, as well as user defined equations or level to flow data points, depending on the application need. With multiple smart-sensor interface options and multi-parameter logging (such as pH), the Signature® Flow Meter provides a common platform for control action, reporting, and communication. For more information, download the Signature® Flow Meter Brochure and Signature® Flow Meter Data Sheet.